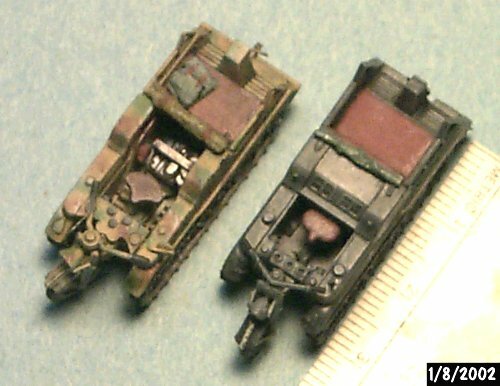 Here are three photos for comparison of the Hasegawa 1/72 Kettenrad (in panzer gray) and the Academy 1/72 Kettenrad (three color camouflage and with engine exposed). 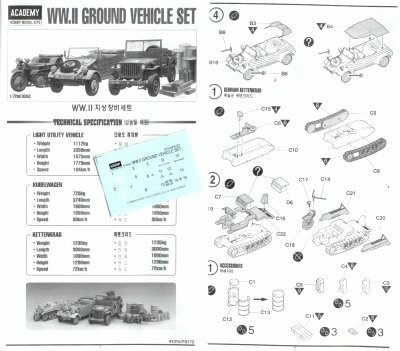 When the Academy Ground Vehicle Set of the Jeep, Kubelwagen & Kettenrad was released it was thought by some that the Academy vehicles was simply a re-release of the older Hasegawa items. 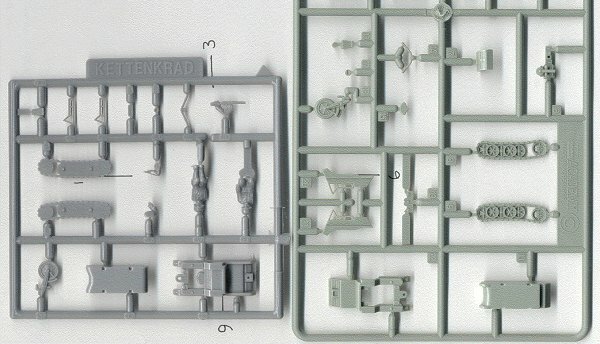 On examining the sprues and instruction you can clearly see this is not so. Though the Hasegawa models are still good kits, the Academy models are a bit more refined and detailed. All three Academy vehicles come with engines and optional clear engine hoods (bonnets) so as to display the engine after building. 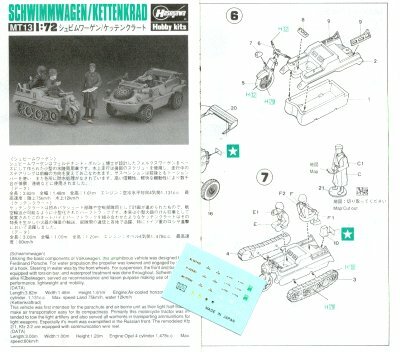 The Hasegawa tractor comes included with a Schwimwagen and two sitting figures. The Kettenrads both compare well in size and both come with markings. 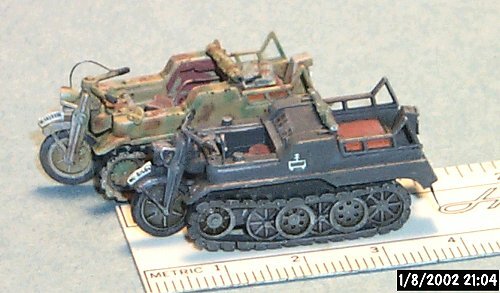 This tracked motorcycle was used by the German Army for transportation in rough terrain, and as a towing tractor. 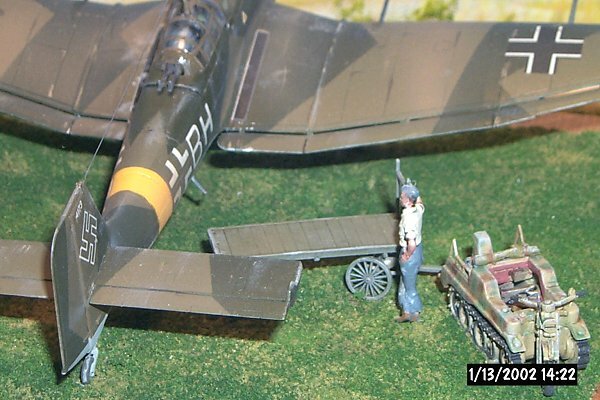 The Luftwaffe used them to tow planes and equipment. They were also quite coveted by the allies when captured and one is featured in the film Saving Private Ryan. 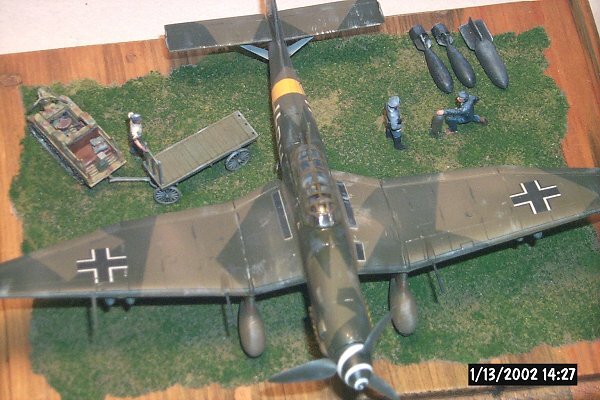 Here is photo of Academy, 1/72 Kettenrad with a small trailer used for bomb transport. 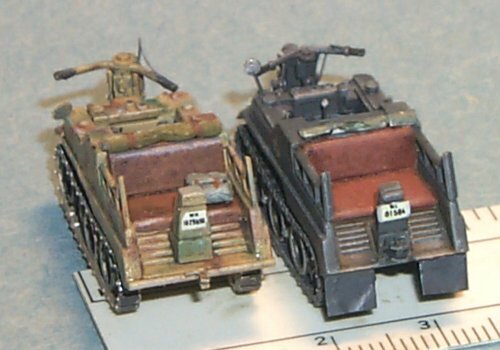 The trailer is a 1/87 kit of a luggage cart from Grandt Line. A very delicate and detailed model. It looks convincing as an impressed bomb trailer for a Luftwaffe base, 1943-44? Figures is 1/72 Prieser.